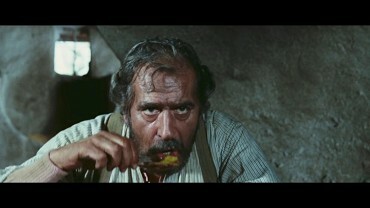 In 1966, the film premiered in Italian theaters with an estimated length of approx. 174 minutes* but this version appears to be lost. 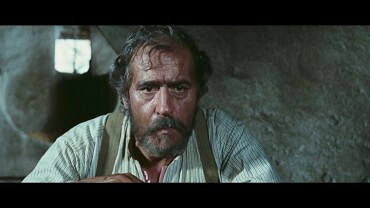 As for the versions that have been officially released: The Italian Blu-ray released in 2009 contains the version closest to the Italian Theatrical Version from 1966. Unfortunately, said Blu-ray neither contains English audio nor English subtitles which makes it kind of useless for an international audience. 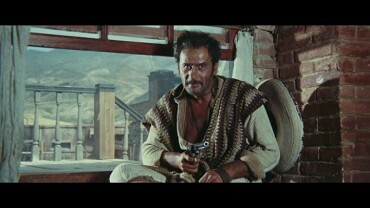 As the comparison with the US Extended Version (more information will follow)shows, Tuco's torture scene appears to be cut in this version resp. it contains alternate footage instead. 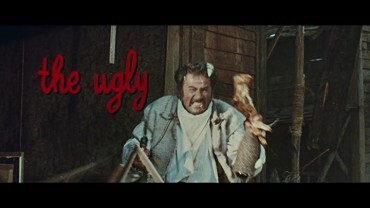 In 1967, Leone himself edited the so-called International Theatrical Version for the US market. It has a length of approx. 162 minutes and the cuts have basically been listed in the comparison for the US DVD (first edition). This is also the version that was released in further European countries - sometimes with additional cuts (the German Version for instance lacks 2 additional minutes). Nowadays, said version is hard to get in its original condition and original aspect ratio: It is only available on the US Laserdisc. 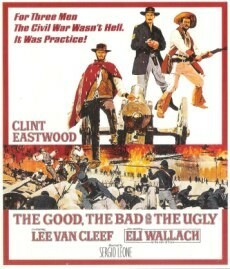 In 1998, MGM released the International Theatrical Version on DVD. Well, they almost did. 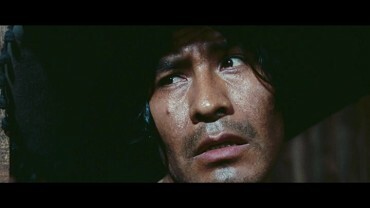 With an identical duration of 162 minutes, a mixed version was edited which also explains the tragedy with this comparison. Unfortunately, an Italian source was at least partially used and as a result, there are both missing shots and shots that do not actually belong there because they are from the Italian Version. All in all not that complicated but the original Theatrical Version had to be considered lost at that point. In 2002, MGM collected every single piece of foreign material and edited their own Extended Version which was released on DVD numerous times and it has become the standard version on Blu-ray releases worldwide as well. 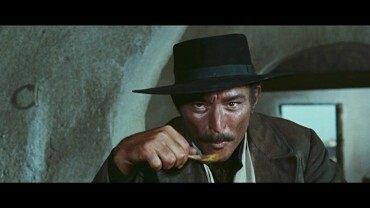 With a length of 179 minutes, this was the first cut ever that contained the legendary Il Grotto scene and there are further little shots that were not in Leone's original cuts from the '60s. This is also the version that was restored in 4K back in 2014 and heavily criticized for its yellowness. Camera assistant Sergio Salvati was involved in an advisory capacity. 1. It become obvious pretty soon that no new scan had been made. Instead, the very same master of the 2014 release was being used - with reduced yellowness. Unfortunately, a pass on new color grading had been taken. 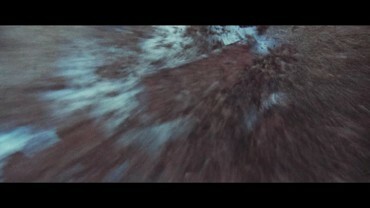 Instead, it looks as if a simple standard filter (to put it simply) had been used for the entire film. As a result, the images appear colorless and the black level is pretty bad as well. 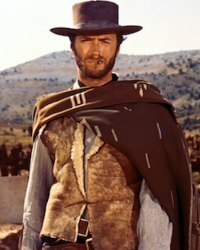 As stated before, the 4K scan itself is not that bad but when dealing with a classic like The Good, The Bad & The Ugly, those kind of flaws get one's attention pretty fast. The only solution would be an entirely new scan - the color correction by Kino Lorber is like putting a finger in the dike. Screenshot comparison 2014 MGM vs 2017 Kino Lorber on caps-a-holic.com which only documents the reduced yellowness and further flaws. A comparison with the Italian Blu-ray can be found in the list of available releases. This (slightly exaggerated review basically focuses on the image quality of the different releases. Here, the Italian release from 2009 is called "The Good", the 2014 4K release is called "The Bad" and the 2017 Kino Lorber release is called "The Ugly". 2. Annoyingly, instead of an actual theatrical print or the 1990 Laserdisc, the "Theatrical Cut" (based on the color corrected 4K scan) is based on the DVD from 1998. It is a real shame because in the previously mentioned thread on Blu-ray.com, a label representative checked the posts regularly and Canadian blogger Jordan Krug offered to help at an early stage. In several blog entries, he posted the entire communication in which he offered to provide both the original theatrical print and the Laserdisc and he also pointed out the flaws of the DVD from 1998. Even though those kind of internet conversations should be treated with caution: It appears Kino Lorber had all the information they needed and there are indeed labels who do care about that kind of stuff before their product gets released. What really upset the fans was the term "original theatrical cut" because that is how the release was announced and that is also what is reads on the cover. As minor as the alterations might appear to the untrained eye, they do in fact exist which might upset die-hard fans. Basically, it is clear that the shots from the Italian Version are in here by accident. Especially in the first half hour, there are two noticeable scenes with a total length of almost 30 seconds of additional footage which does not actually belong here. Admittedly, they do look like the ones before and after which probably explains why MGM did not notice back in 1998 that Leone cut those scenes on purpose. 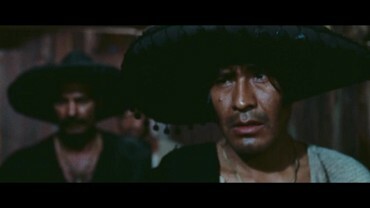 When Tuco's goons appear, there are 10 further seconds that do not belong there plus there is an additional shot of a collapsing wall in the middle of it. But what is probably considered worse by a lot of people: Footage from the original Theatrical Version is missing here - even though we are talking about repetitive shots here. 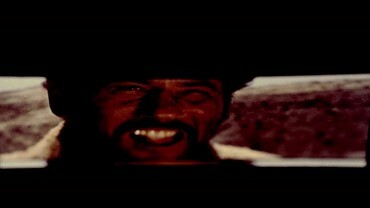 Also during the first half hour, there is supposed to be another shot of Eastwood loading his weapon or simply a bit more footage at the beginning or end. One of the reasons for those alterations are stylistic devices such as additional transitions in the Italian Version. Since Kino Lorber based their release on said version, the complete original shot was simply not available any longer. 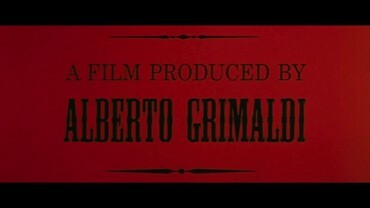 And this is really annoying in the second half of the film when Enni Morricone's terrific score is being played falsely during one of those transition as a result of one of those required cuts. Frankly, non-enthusiasts will probably not even notice all those tiny differences or consider them irrelevant at the very least and wonder what all the fuss is about. And one should not forget that it is basically a good thing that this rather rare version (despite its flaws) is being made available on Blu-ray. 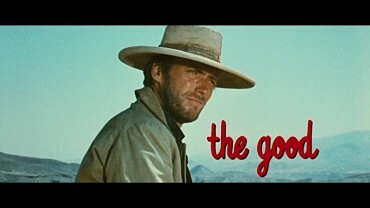 But The Good, The Bad & The Uglyis not only one of the best Spagetti Westerns of all time but also one of the best films ever made. And since the situation regarding all the different cuts is well documented, every single alteration carries weight. It is a real shame that there is still no decent release of this classic - despite the "50th Anniversary Special Edition" which contains some really nice bonus. * Any listed time index is in Theatrical/NTSC/Blu-ray speed. For the time index in PAL, the usual ~ 4% need to be deducted. 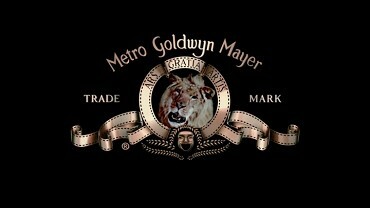 A more recent MGM logo plus the old UA logo at the beginning of the new US Blu-ray. 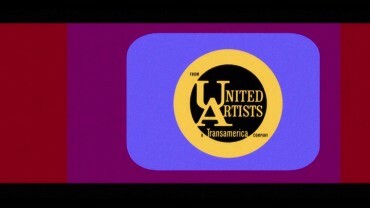 Please note: Compared to the DVD from '98, Kino Lorber calls the UA logo something unique in their version. Not added to length difference nonetheless because this is not part of the actual film. The producer credit at the very beginning looks more modern in the HD master plus there are less company logos. Probably adjusted over the years for legal reasons. All the other credits are 100% identical. 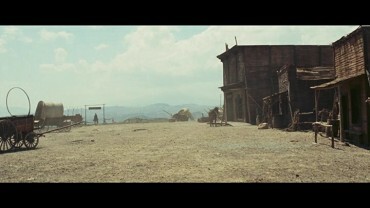 The new US Blu-ray (just like the Italian Version) here contains a distance shot and two close-ups. Most likely added by accident because it looks similar to the previous and subsequent shots. On the US Laserdisc, the credits themselves are in English. However, the three famous names of the main characters are in Italian. The Kino Lorber Blu-ray contains those in English as well - resp. 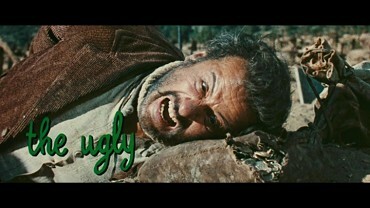 here the first one showing the Eli Wallach character. Please note: It is undetermined whether the credits were in English back in the day when the film was shown in US theaters or whether this a unique characteristic of the US Laserdisc (for whatever reason). The shot over the shoulders showing the farmer is a little longer. 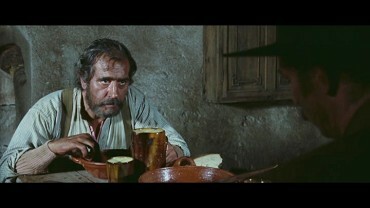 Then two close-ups of Sentenza and the farmer. 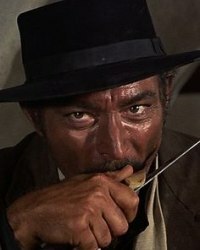 Another alternate shot of Lee Van Cleef's character. 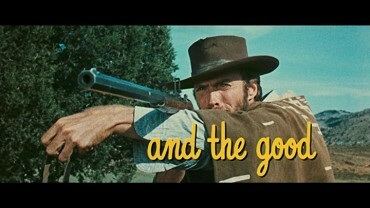 Additional close-up of Eastwood loading his weapon in the Original Theatrical Version. Furthermore, the subsequent medium long shot starts destinctly earlier. 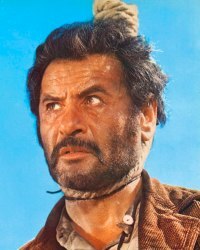 In the 24th minute, there is a new transition when Tuco has the rope around his neck. Before the Blu-ray release, Kino Lorber proudly announced that the original transition had been restored while the DVD from '98 and the Extended Version only contain the regular transition. The image on the Laserdisc is not red during that scene, that is for sure. Most likely because the Extended Version fades to black at this point so the reason to end this shot a bit earlier is not that far fetched. 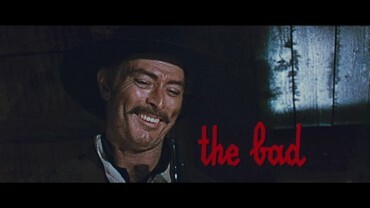 On the Kino Lorber Blu-ray, the shot of the goons entering the room is a little longer. A further shot of them on their way to the room next door follows. Please note: The footage is originally from the Italian Version even though (like the entire almost 2 additional minutes) the order of the additional scenes is a bit different. The Kino Lorber Blu-ray (and also the DVD from '98) only contains these 10 seconds at the very beginning for some reason. The rest of the scene is 100% identical to the original US Theatrical Version on Laserdisc. 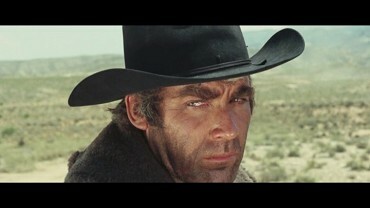 A tiny but incredibly fundamental scene: Blondie actually looks down at the end of the shot. 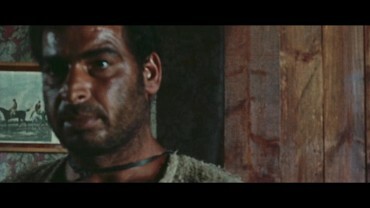 The previously mentioned frame difference (Blondie looks down at the end of the shot) is being 100% made up for here: The shot of Tuco is slightly longer (superfluous in this particular case because the facial expression remains the same). Curious: After seeing the cannonball for a moment, the Kino Lorber Blu-ray contains with the explosion. 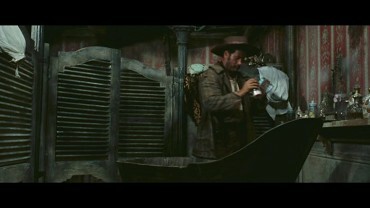 On the US Laserdisc, a single frame of an entirely white image follows. Then the empty canon for a few frames. Probably a goof (resulting from the execution of the special effect) that has been corrected for the Kino Lorber Blu-ray. Please note: Both versions contain a few more shots that lack < 5 frames (= 0.2 sec). Except for the previously mentioned ones or the rather striking differences, this will not be listed in the remaining part of the comparison. 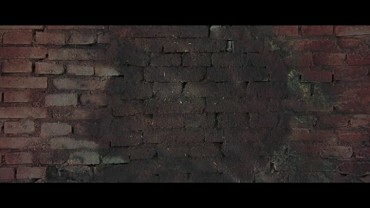 Before the roof collapses, the Kino Lorber Blu-ray contains a small shot of an exploding wall. Both versions fade to black and back in afterwards but this is a little longer on the Kino Lorber Blu-ray. 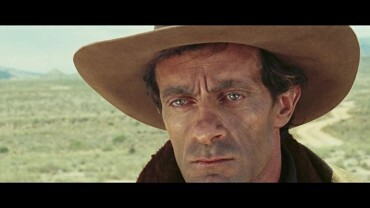 As a result, the Kino Lorber Blu-ray lacks the first few (insignificant and only recognizable by looking at the approaching horsemen in the back) frames from the US Laserdisc. Actually, the shot of the leaving train is slightly longer. Please note: The Italian Version, on which the Kino Lorber Blu-ray is based on, contains a smooth transition which has been cut for the Kino Lorber Blu-ray which is quite annoying: In the original Theatrical Version, the score ends right at the end of the scene. 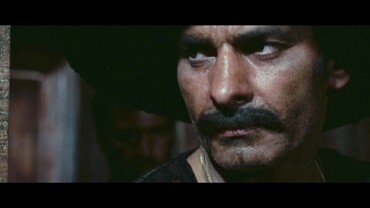 At the beginning of the following shot of Tuco, the sound of a train is audible. 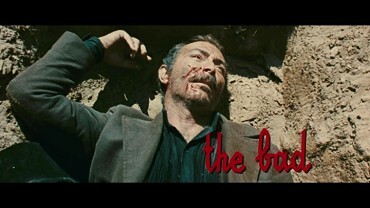 On the Kino Lorber Blu-ray (as well as on the DVD from '98), the score ends at the beginning of the shot of Tuco. As a result, the first train noise is missing. 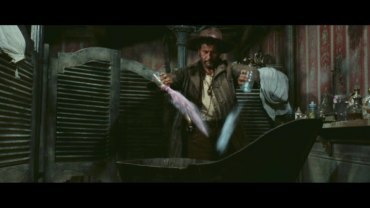 On the Kino Lorber Blu-ray, the shot of Tuco pouring bath salts into the water is longer. And again, this footage is only supposed to be in the Italian Original Version. The last frames of a canon firing off a shot are missing. Once again, English credits on the Kino Lorber Blu-ray vs Italian credits on the US Laserdisc. Last but not least, a different MGM logo subsequent to the final black screen.